The house edge in live blackjack is one of the lowest of all casino games ranging from 0.41% to 0.69% at best depending on the software provider and the online casino that offers it, and, of course, on your blackjack skills and ability to decrease it. Most of the online casinos that we have scanned so far that have live dealer blackjack are offering bet limits that range in approximately the same minimum and maximum allowed bet amounts as you’d know, but the average maximum is perhaps something between $2,500 and $5,000. Live dealer blackjack gives you the benefit of interacting with a real life dealer and compete with real life players sitting at the table. Furthermore, this is one of the few skill games that you can master easily and to use it to your own advantage with a decent strategy. Live Casino offered by in Classic View and 3D view. Supports these currencies $USD, €EUR, £GBP, $CAD, SEK, DKK. Powered by Playtech with extensive options for dealers and tables. Where can I find the highest live Blackjack limits? Nearly all software providers offer the relatively same table limits, but it all depends on the casino’s table limits policy, which decides on how much the maximum bet will be. We have seen casinos powered by Playtech, Microgaming, Betsoft and other popular software providers that usually give the highest limit of 2,500 to 5,000 chips per hand, though some go up to even 10,000. Is card counting possible in live Blackjack? The technique of card counting is most successful in games with single or very few decks. Unfortunately to card counting players, live blackjack games typically feature from 6 to 8 decks, which makes card counting harder than usual. Are there any side bets in live Blackjack? Yes. Besides the standard classic blackjack version of the game, which is mostly offered as a live game and which doesn’t feature side bets at all, online casinos offer live blackjack games with side bets, such as Perfect Pairs, 21+3, Bet Behind etc. What happens if I get disconnected during play? When you disconnect during a live blackjack game and the cards have already been dealt, the standard rule is for the casino to play out your hand as if you have decided to stand, meaning no additional card will be given and the hand will be played with the cards dealt only. Is live Blackjack available for mobile too? Yes. 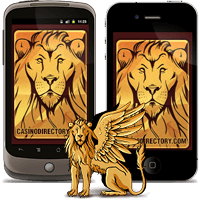 Some of the software providers, like Playtech, offer live dealer games for playing on mobile devices too. Use this easy strategy to get started playing. Terms like "hit", "stand" and more explained. The rules of BJ are quite easy to pick up. The history of BJ is very interesting. Read more. Check out our online blackjack tips. Learn more detailed info about hot casino games. Also: avoid the side bets if you want to play it safe, and always hit when you cannot double.